Need personalized coaching and accountability? Have you followed generic training programs in the past and gotten bored because it was too easy or been pushed too quickly and found yourself unable to complete the program? Do you have past injuries or needs that deserve specialized attention from a coach and physical therapist that understands YOU and YOUR BODY and will design a program JUST FOR YOU!??!! Welcome to our Personalized Coaching program! Kevin and Angie love working with athletes individually to create a program specific to your needs, goals, and abilities. Personalized coaching is the safest and smartest way to train. Running is a sport that demands calculated training plans to help you to reach your goals, minimize the risk of injury, and feel great in the process!! Customized coaching from Kevin Brown, a highly decorated runner and coach with over 20 years of running experience and over 10 years of coaching experience with runners of all levels and abilities. He has won first place in countless races, ranging from marathons to 5ks, with a recent marathon victory in 2017. Customized coaching from Angie Brown, a Doctor of Physical Therapy, who has helped hundreds of athletes to rehab from injury, prevent injury, and get back into sport pain-free, who also specializes in runner-specific strength and conditioning. If you are a new runner, we suggest that you commit to at least 3 months to start. Developing into a runner and athlete takes time. The beginning of any new training plan can be rough as your body gets used to the new demands and training loads. Three months allows your body enough time to get into running safely and start to achieve the goals that you set for yourself. We want you to be successful, so committing to a 3 month program is going to help to ensure that success for years to come. We want to develop you into an athlete and a runner for life, so the first 3-6 months are critical in this development to ensure that you have a solid base and foundation moving forward. It allows you to gradually work your way in, accomplish some awesome goals, and establish yourself as a runner and athlete that is here to stay! What if I have been running for awhile now? We will evaluate your current training and see where the holes are. As real life runners, we know that sometimes life gets in the way of our training. Life happens. Kids get sick, work obligations pile up, and our training sometimes get compromised. We suggest at least a 2 month initial commitment for established runners. Committing to 2 months allows us to establish a plan and routine to set you up for success, working with you to prioritize your training and fit it in to your daily life. It takes time to actually gain the benefit of any training plan, and this will allow us to see what is or is not working for you. Your health is critically important to allow you to accomplish all of the goals in your life, and we can help to put you on the path to success! Sounds good, but what if I'm not sure if this is right for me? Try it out! We offer a 30 day money-back guarantee, so if this program is not right for you, we will refund your money. 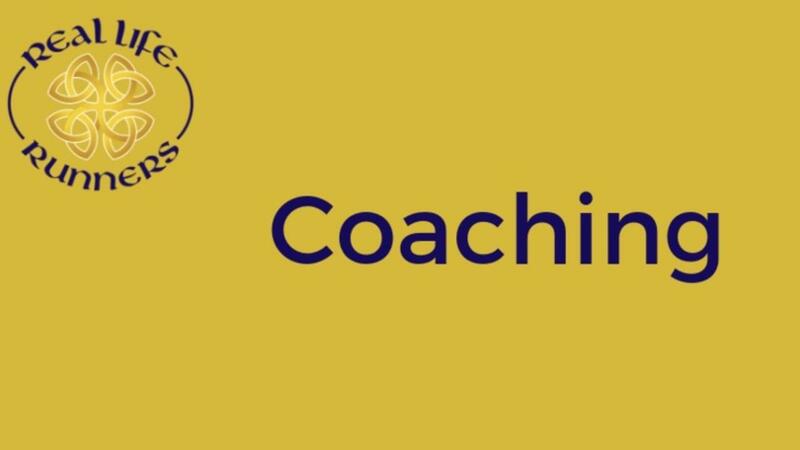 We know that you will see the value in having a personal coach to help you to reach your goals, but if for some reason, it's not right for you, just let us know. We want you to be happy and see the best results! Do you want or need personalized attention for your training? Someone to check-in and keep you accountable? Someone to create a plan with you and your specific goals and situation in mind? Access to our recipe library, with healthy recipes curated from various sources, including cookbooks and the web.